Since 1991, Fitzgerald Sprinkler Repair, Inc. has been the leading provider of sprinkler system repairs and installations for the Bryan County, GA and Chatham County, GA area. We welcome jobs from both residential and commercial customers. There’s no sprinkler problem too big for us to fix and no installation we can’t complete to perfection. Contact us today to get started. Have you noticed that your sprinkler system isn’t functioning properly? Maybe the coverage area isn’t right or perhaps there are sprinkler heads that aren’t dispersing water properly. It’s problems like these that can quickly cause mayhem for your landscape. Over-watering, under-watering and drainage problems can be quick to follow, which leaves you with a damaged lawn and garden and a sunk investment in a sprinkler system. Fitzgerald Sprinkler Repair, Inc. is here to help make sure you’re getting the sprinkler system repair in Bryan County, GA and Chatham County, GA you need to avoid these problems. Our experts make sure your system is in full working order at all times, to help you get the most out of its design and function. Our familiarity with residential and commercial sprinkler systems is totally encompassing. For decades we’ve been troubleshooting and repairing all styles and brands, which has given us the knowledge to be thorough in administering service to your system. In fact, we can even provide custom sprinkler system installation in Bryan County, GA and Chatham County, GA! From wiring and plumbing to the hardware and setup, we do it all to give you peace of mind that your investment in a sprinkler system is one that will pay dividends. If your lawn and garden are suffering from a malfunctioning or lackluster sprinkler system, waste no time in calling our team for service today! 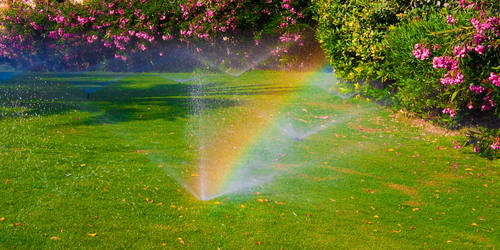 We have more than 25 years of professional sprinkler repair and installation experience. We’re Rain Bird Sprinkler Certified, giving us the expertise to work on this familiar brand of sprinkler. We welcome customers throughout Bryan County, GA and Chatham County, GA, including Richmond Hill, and Savannah, GA. If you need a new sprinkler system installed or require repairs to maintain your existing one, contact our professionals today. There’s no problem we can fix, to keep your system working flawlessly.